Product prices and availability are accurate as of 2019-04-18 07:02:43 EDT and are subject to change. Any price and availability information displayed on http://www.amazon.com/ at the time of purchase will apply to the purchase of this product. Revolutionary Design - Advanced LED technology goes with modern design, redefine architect desk lamp. 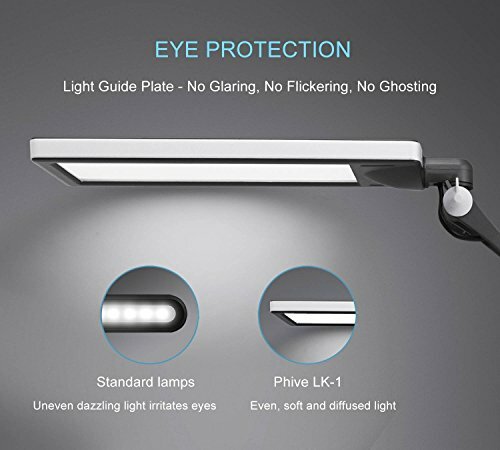 Easy on Your Eyes - Patented diffusion panel with reflection light, 144pcs of high quality LED bulbs，Ra85 high CRI LED, protect your eyes comprehensively. 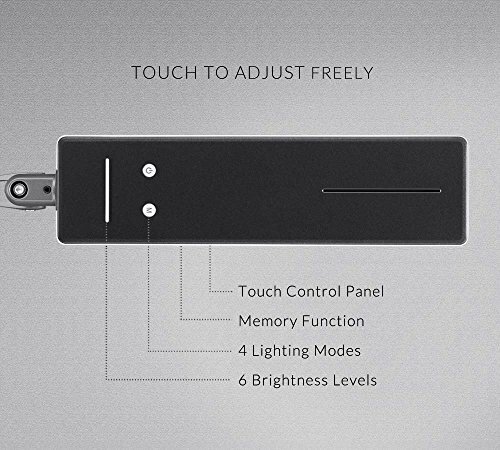 Memory for Brightness & Modes - Memory function for 6 levels of brightness and 4 lighting modes, free to adjust and easy to keep personal setting. 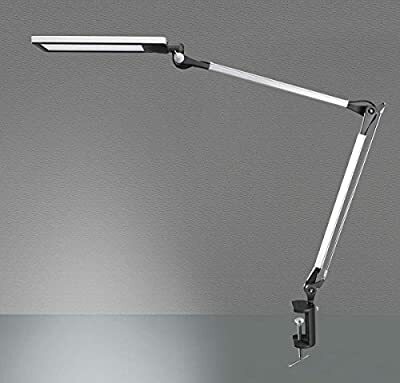 Incredibly Adjustable - 360° swivel head, 16.3+16.3 inches 270° adjustable long arm, infinitely rotatable body. Strong clamp supports up to 2.36 inches tabletop. Longevity & Energy Saving - 50000 hours lifespan, no bulb changing troubles in the next 25 years. 20% energy consumption as a incandescent bulb does.